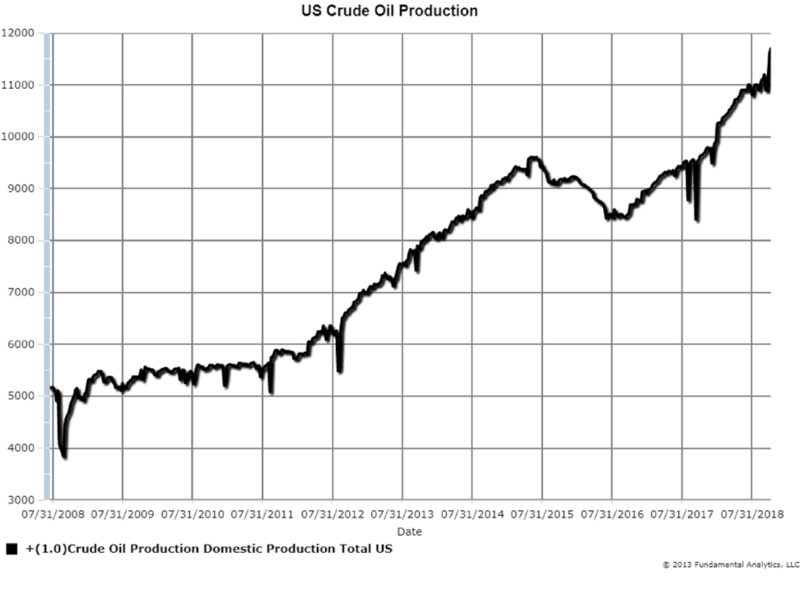 The latest crude oil production data has production at a record 11.7 million barrels per day (Chart 1). 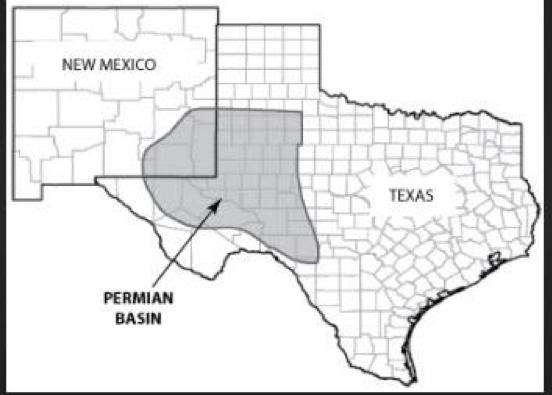 A major source of the additional supply is from the Permian Basin in Texas and New Mexico. The added supply is a result of the new technology of hydraulic fracturing, “fracking,” that extracts crude oil from shale. 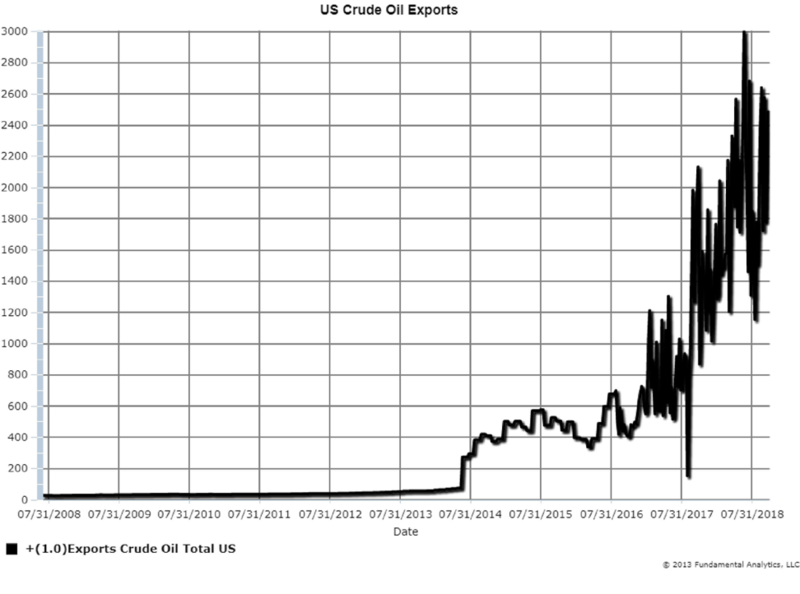 The US now produces more crude oil than Saudi Arabia and Russia and is exporting around 2.3 million barrels per day (Chart 2). However, the Permian crude oil supply is now greater than the pipeline capacity to ship oil to the Texas Gulf Coast for export. Until more pipeline capacity is developed, inventories at Cushing, Oklahoma, will build up, because the route to Cushing is not as constrained as the one to the Gulf Coast. Growing Inventories in storage adds more downward pressure on prices. We are still bearish crude oil and recommend consideration of short positions in the crude market. 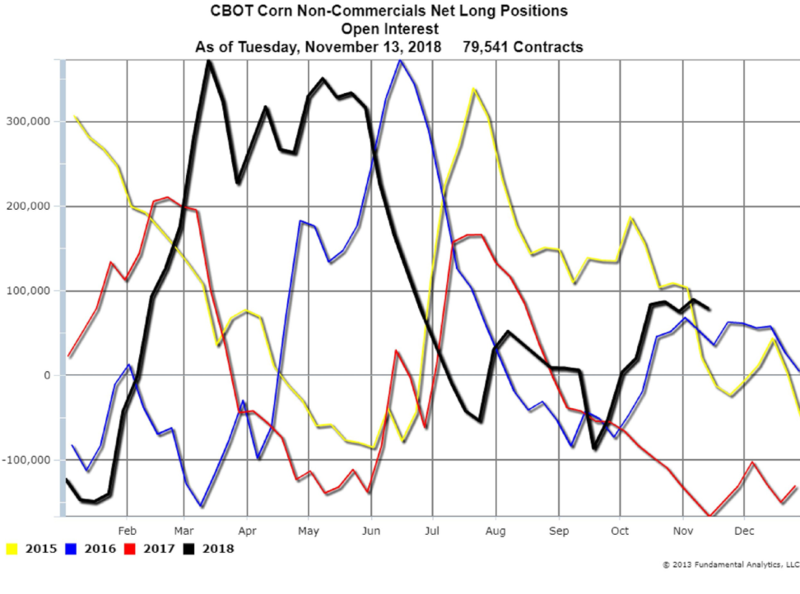 The latest Commitment of Traders report for Corn from the CFTC shows the Non-Commercials (the Hedge Funds) Net Long 79,541 contracts (Chart 3). In mid-September the Funds were net short 86,000 contracts and Corn prices were at their lowest, $3.46 per bushel (Chart 4). The Funds are now net long and helping to support prices around $3.61 per bushel. If the Funds add to their net length that would support or increase Corn prices. Consequently, we recommend consideration of long positions outright or in calendar spreads. 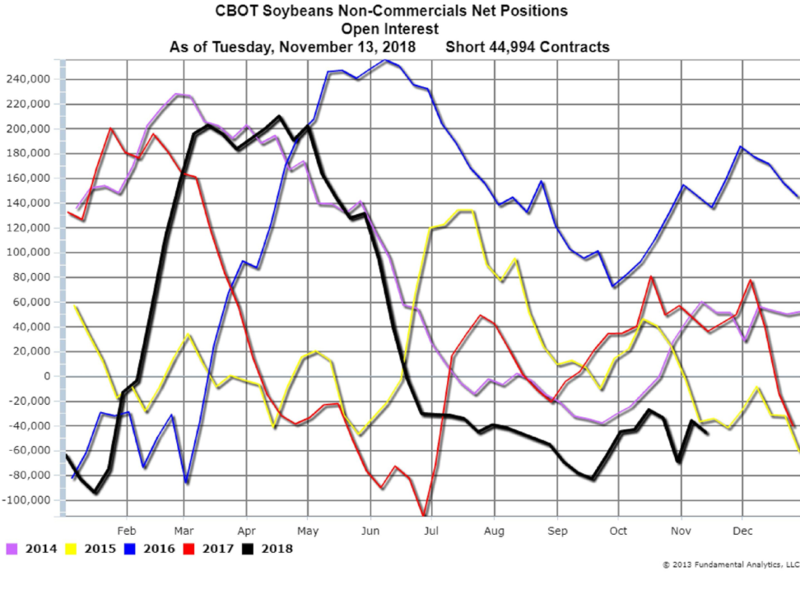 The latest Commitment of Traders report for Soybeans shows the Non-Commercials Net Short 44,994 contracts (Chart 5). In mid-September the Funds were net short 82,000 contracts and Soybean prices were at their lowest, $8.43 per bushel (Chart 6). The Funds are still net short so their positions are pressuring prices. 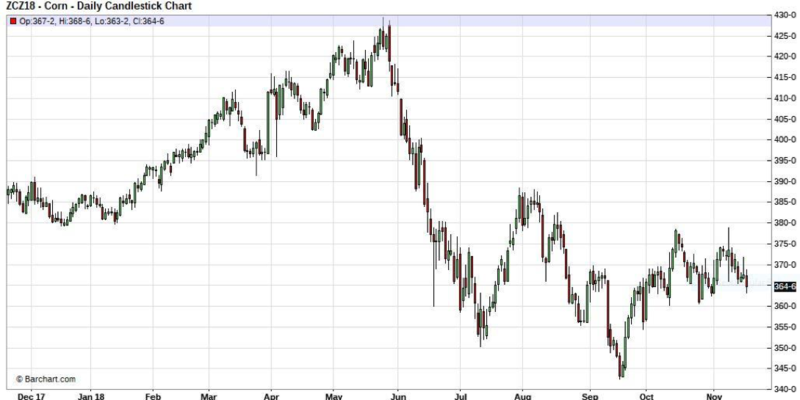 If the Funds increase their net short positions that would further pressure Soybeans prices. 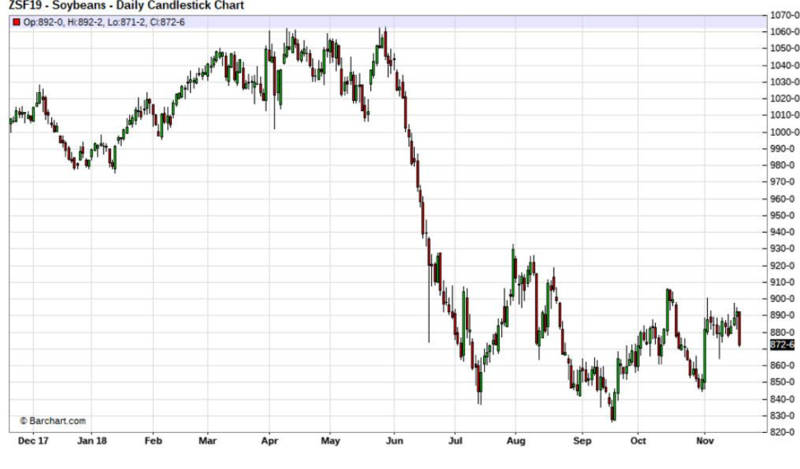 We recommend consideration of short positions outright or in calendar spreads in Soybeans.